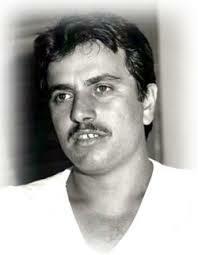 Was born in Casablanca, Morocco and made his Aliyah to Israel in 1963. Fighting between the youth was very common in Eli’s daily routine; he was often involved in street fights against one or more people. This gave him both practical experience as well as an extraordinary talent to identify and understand human body movement. His talent, experience, stubbornness and consistent work ethic helped him achieve great heights in his life. In November 1964 in Netanya, Eli began training with Imi and became his senior student. In those days there were no uniforms or belt ranking systems; the students trained in military uniforms. In 1965 Eli added Judo training as part of Krav Maga. Both Gadi Skornick (the founder of the Gadi Kempojistu method) and Amos Greenshpan trained Eli in Judo, but two training sessions a week did not satisfy Eli. With Imi’s approval, after receiving an orange belt in Judo, Eli began training in Karate and Japanese Jujitsu at the same school where Imi instructed. In addition to this, Eli took Bushido training under Edmond Buzaglo. After gaining experience in these martial arts, Eli and Imi developed new Krav Maga techniques which both improved and simplified Krav Maga. In 1968 the belt ranking system was established. The rankings were based on the students’ expertise of Judo. At the same time Eli Avikzar began to study Aikido – amazing his trainer with the speed of his progress. He offered Eli the opportunity to train in France in order to earn his Aikido brown belt. On May 1st 1971 Imi certified his first Krav Maga Black Belt. A few months prior to this Eli received his black belt in Judo and then later went to France to earn his black belt in Aikido. When Eli returned to Israel, Eli and Imi began instructing Krav Maga in both Netanya and Tel Aviv. Additionally, Imi and Eli volunteered to train Elite units within the IDF in Krav Maga. Their efforts were highly appreciated, at the same time the IDF began to recognize Eli’s contribution and importance. 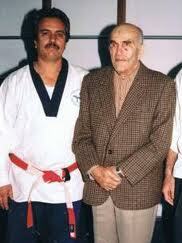 In 1974 Imi retired from teaching and gave Eli the Krav Maga School in Netanya. Eli continued developing new techniques while preserving Imi’s motto “Act to the best of your ability, but act correctly” so that any person, including the weak and disabled, could defend themselves using Krav Maga. In 1976 Imi recommended the IDF to appoint Eli as the head of Krav Maga in the IDF. Eli’s entrance to his new position significantly increased the awareness and importance of Krav Maga and the number of Krav Maga courses quickly rose. Every IDF physical fitness instructor was required to study and then train Krav Maga to their units. Krav Maga in the IDF continued (and continues) to improve through the constant development and modernization of the Krav Maga technique, as has been since before, during and after Eli’s involvement. Krav Maga has become more professional and highly respected. It has proved its effectiveness within the combat units of the IDF. Over time Eli, continued to develop and make Krav Maga more efficient. During his service, Eli, instructed over 90,000 soldiers of both genders. Eli retired from service in 1987. In 1977 Eli traveled to Germany for further training in Aikido and earned a black belt from the European Federation. In 1978 the Krav Maga and self defense association was established by Imi and his senior students. Due to his expertise in Krav Maga and his experience as an active member of the Judo association, Eli was chosen to form the ranking and professionalism committees of the new Association. In 1981 Eli, Imi and their senior students traveled to the U.S. for a 45 day demonstration tour of Krav Maga. As a result of their tour, the first group of American trainees traveled to Israel to participate in a Krav Maga instructor certification course at the Wingate Institute. Among them were Darren Levine and Adam Feldman, who received their Black Belts from the Krav Maga Association. In 1985 the Association sent Eli to the U.S. to give a lecture on Krav Maga to the Department of Police. This resulted in Eli’s 1987 return to the U.S. where he taught the first Krav Maga course to the LAPD. The improvements and new techniques that Eli implemented has made Krav Maga more advanced while making the teaching of the technique more efficient. To Imi’s motto Eli has added “Minimum movement against maximum force”. In 1987, prior to Eli’s retirement, the Krav Maga Association changed its name to “The Israeli Association of Krav Maga.” In 1989, after much deliberation, Eli founded “The Association of Krav Magen Israeli.” While Eli wanted to call the new association “KMI” (“The Association for Israeli Krav Maga”), because of is close similarity to Eli’s former association he decided to change the name of the organization. For this new organization, Eli came up with a new student uniform – blue pants with the KAMI logo and a white shirt with blue trim which included the KAMI logo as well – matching the color scheme of the Israeli flag. In 1996 Imi awarded Eli, on his behalf, a founder’s certificate as well as the rank of Dan 8 Black Belt. 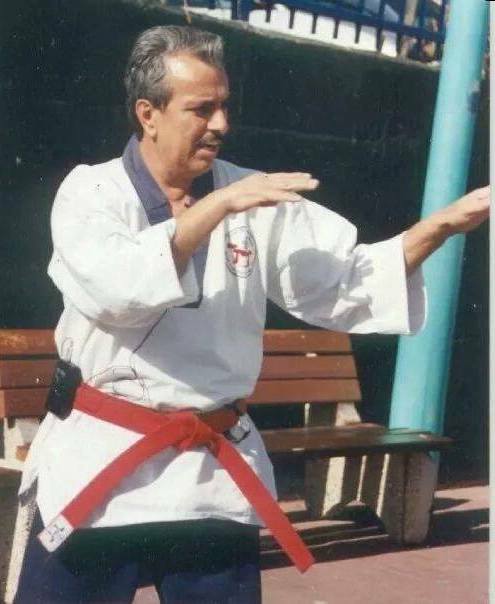 In 1999 Eli gained international recognition as a Dan 10 Black Belt from the physical fitness institutions and martial arts organizations of both Israel and international entities, as well as from his senior students. In 2004 Eli Avikzar (Z’L) passed away with his last request, “That every child would know how to defend themselves”.